We can help you file a claim for VA benefits. Get to know us and how we help patients diagnosed with mesothelioma. “Patients who are surgical candidates should undergo procedures as part of multimodal therapy that includes chemotherapy with or without additional radiation therapy.” The organization added that while ongoing clinical trials “suggest promising activity of several new agents in MPM, they are not sufficiently mature to make treatment recommendations." The new guideline went on to discuss the ASCO’s recommendations for five clinical areas including diagnosis, staging, chemotherapy, surgery, and radiotherapy, with strong recommendations for maximal surgical cytoreduction for patients with early-state disease, adjuvant radiation therapy after resection of histologically positive intervention tracts, and preferred first-line chemotherapy of pemetrexed-cisplatin doublet, or referral to a clinical trial. The guideline noted that the addition of bevacizumab (Avastin) to pemetrexed-cisplatin improved survival in selected patients. By summer 2018, the largest clinical trial of the immunotherapy drug pembrolizumab (trade name Keytruda) was on track to be presented at the 2018 American Society of Clinical Oncology (ASCO) Annual Meeting. At the meeting, the results the randomized phase III trial were revealed, showing that pembrolizumab was a more effective initial, standalone treatment than chemotherapy for the majority of patients with the most common type of lung cancer. Although not as rare as MPM, lung cancer is similar to the disease, so many of the same drugs are used to treat the two conditions. Based on earlier findings in a smaller clinical trial, the ASCO reported that the “U.S. Food and Drug Administration (FDA) approved pembrolizumab for initial treatment of NSCLC with high PD-L1 expression (score of at least 50%), which account for about one-third of these cancers.” Pembrolizumab is currently the only approved immunotherapy for initial treatment of lung cancer. It is approved for use as both a standalone treatment and in combination with chemotherapy. If you have been diagnosed with mesothelioma, talk to your doctor about innovative treatment options such as pembrolizumab. Newer and emerging treatment options could be helpful in treating your specific type of mesothelioma, so talk to your doctor today. Bankhead, Charles. 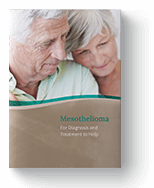 "ASCO Releases First Mesothelioma Guideline." MedPageToday.com. MedPage Today, LLC., 26 Jan. 2018. Web. 10 Nov. 2018. Fisher, Alise. "Immunotherapy Pembrolizumab Works Better Than Chemotherapy Alone as Initial Treatment for Most Advanced Lung Cancers." ASCO.org. American Society of Clinical Oncology (ASCO), 03 Jun. 2018. Web. 10 Nov. 2018. Sponsored by Maune Raichle Hartley French & Mudd, LLC. Disclaimer: The information provided by MesotheliomaGroup.com is not a substitute for professional medical advice.